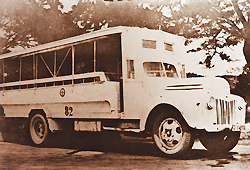 Bus services were first introduced to serve commuters in Bangkok in 1907 by Phraya Phakdi Noraset (Lert Setthabutr). 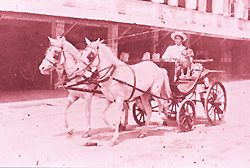 Originally, transport service was provided by horse-drawn carriages and later by three-wheeled Ford motorcars with two long parallel benches for seating. This public transport proved very popular, and by 1933, bus services were available virtually throughout major areas of the capital. Service expanded as the city and its population grew. Several new companies entered the field. Bus routes grew in number and length and became more complicated. However, as traffic became more congested, private bus services proved unequal to rising public expectations. During the years 1973-1975 the country was hard hit by a high inflation rate. Bus operators began to demand increase in fares. Eventually, the government decided to take over the task of providing mass transit services. A 1971 study of Bangkok traffic by a team of German experts recommended merging together the then 24 private and two state bus companies, a total of 3,773 buses, into a single entity, to be operated by a private company or by the state, or alternatively by a joint private and state enterprise. The team also suggested that if no private company was able to handle the merger, the government should do it by buying all the buses and not renewing licenses which were due to expire on September 30, 1975. The merger eventually took place in 1975 when the government, under the leadership of M.R. 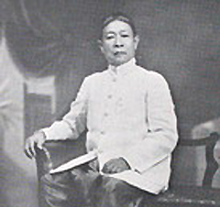 Kukrit Pramoj, came up with a plan to help Bangkok's urban poor. The prime minister proposed free bus service for people in low income brackets, for their children and for students. Citing these reasons, the government decided to take over the bus services operated by private companies, joining them together as a non-profit company, i.e., the "Mahanakhon Transport Company Limited." Operations began in October, 1975. Unfortunately, due to certain legal constraints and a change in the government, the Mahanakhon Transport Company Limited was soon scrapped. 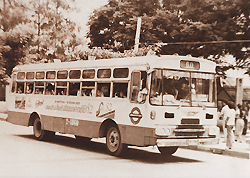 In August, 1976, the "Bangkok Mass Transit Authority (BMTA)" was established by a Royal Decree Establishing the Bangkok Mass Transit Authority, B.E. 2519. Beginning operations the following October, the BMTA undertook to provide bus service to commuters in six provinces, i.e. Bangkok, Nonthaburi, Nakhon Pathom, Pathum Thani, Samut Sakhon and Samut Prakan.